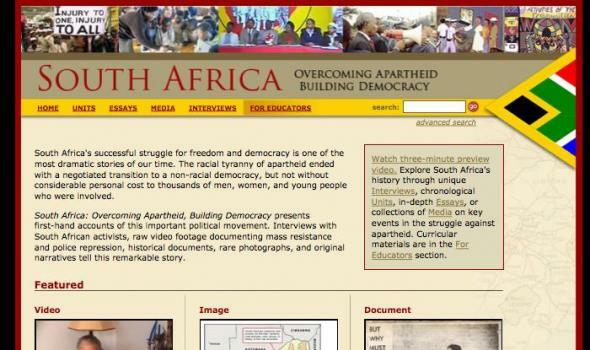 About Overcoming Apartheid and Michigan State University This educational website provides primary source materials, newly-written narrative, and curriculum ideas for teaching high school and undergraduate students about the many generations who struggled to end apartheid and build democracy in South Africa. Interviews with more than 60 people bring this history alive. Many important oral history projects are being undertaken in South Africa, but few are online. This website’s 40 hours of interviews – and 120 segments created from them – are a unique historical resource for anyone who cares about people determined to become free from oppression. 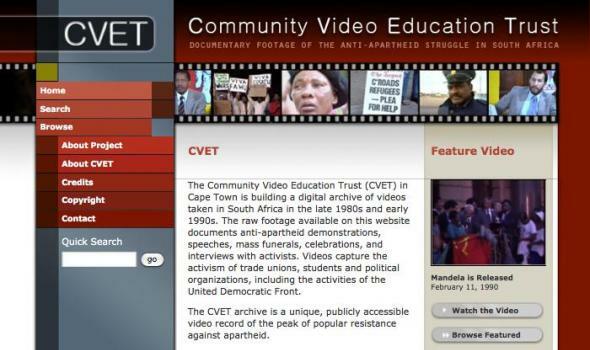 Feature Video The CVET archive is a unique, publicly accessible video record of the peak of popular resistance against apartheid. Browse Genres February 13, 1990 This project is supported by the South African Film and Video Project . 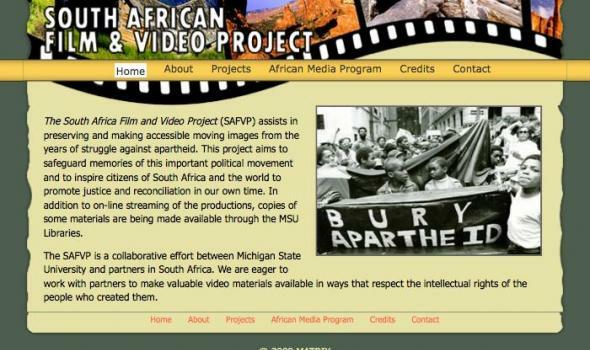 The South Africa Film and Video Project (SAFVP) assists in preserving and making accessible moving images from the years of struggle against apartheid. This project aims to safeguard memories of this important political movement and to inspire citizens of South Africa and the world to promote justice and reconciliation in our own time. In addition to on-line streaming of the productions, copies of some materials are being made available through the MSU Libraries.